This is a card act rather than a single trick. It is a full-deck effect, tells a story, has audience participation as spectators become the characters, is full of magic, and has an ending that no one will see coming that will fry the audience. 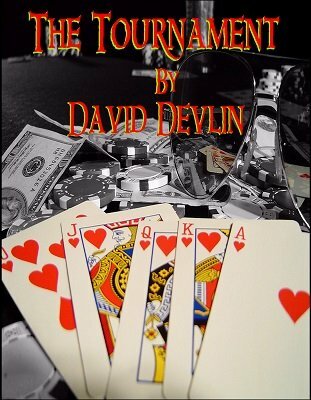 It is called, The Tournament , and it will convince your audiences that you are the greatest card cheat of all-time. There is no false dealing, which means that the dealing portions of this routine are all self-working. The finale of the act is a mind-blower and brings everything to a logical conclusion. Two methods are provided, one which utilizes the Faro Shuffle and one that does not. There are no gaffs whatsoever. The deck can be given away to a spectator as a souvenir if you wish. This act employs effects, subtleties, gambits, and other sneaky stuff from Nick Trost, Daryl, Aldo Colombini, Martin Lewis, Meir Yedid, and others.